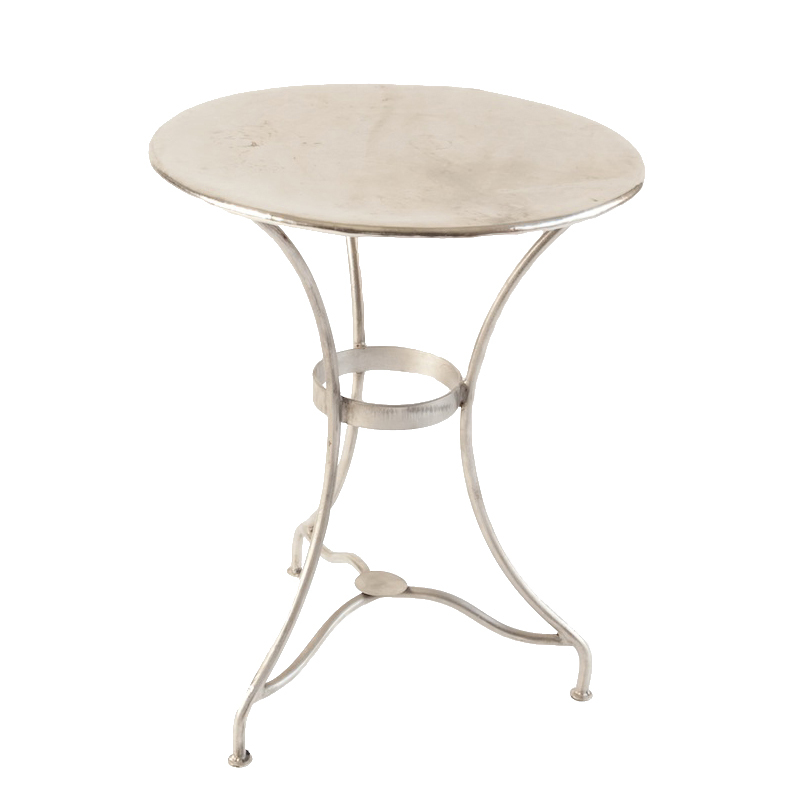 Nickel side table with thin legs. Diameter of 22 inches. 28 inches tall.